Spring has sprung and we are just loving the fresh Green hues and floral influences surrounding us. One of the best ways to make you feel like Summer is coming is to either refresh your outside area with some delightful brights or bring the outside in. 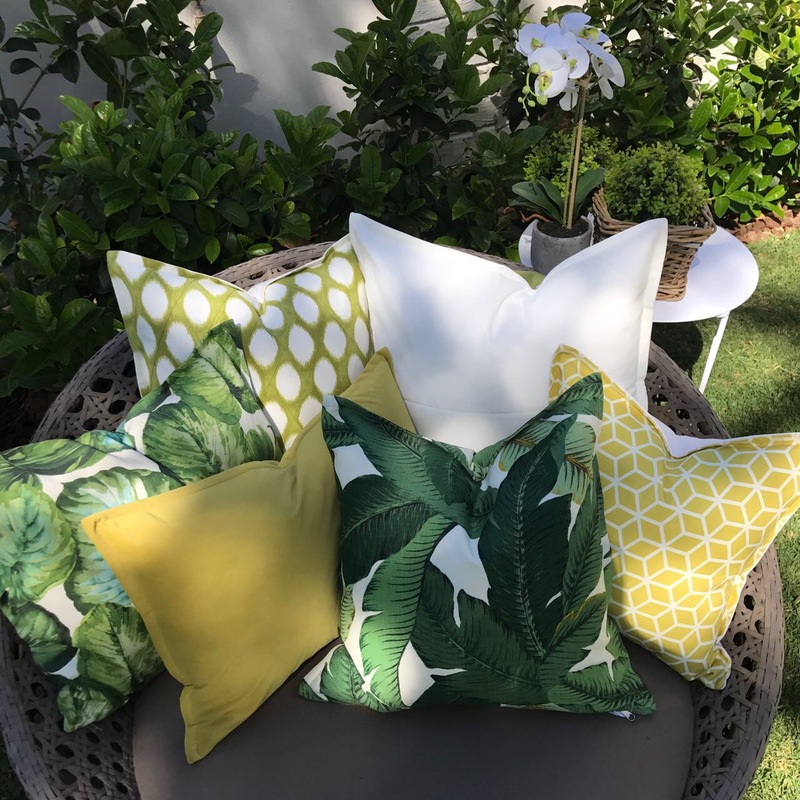 Often outdoor fabrics are only used in an outdoor setting but why not bring a beautiful fresh leaf print into your lounge or bedroom. With outdoor you can also be more wild! Combine a leafy fabric with a beautiful animal print and create depth and interest in your outdoor area. You can also mix all floral and fauna fabrics for that tropical feel! So don’t be afraid of mixing patterns, colors and textures!